It shouldn’t be surprising Montreal Canadiens general manager Marc Bergevin will likely keep Jesperi Kotkaniemi instead of loaning him to Finland for the World Juniors. In contrast, the ramifications of the decision may be. Even to him. For some context, Kotkaniemi ranks fourth in rookie scoring (14 points). He has earned a regular spot on the Habs, who sit in the last wild-card spot in the Eastern Conference. While he ranks 20th on the team in time on ice per game (14:03) and has been relatively sheltered by head coach Claude Julien, he’s just below Paul Byron in that category. Meanwhile, Karl Alzner, Xavier Ouellet and Victor Mete, who each rank above him have all been sent down ahead of him. That should give more of an idea as to his worth to this team in management’s eyes and those of everyone else. That Bergevin wasn’t blowing as much smoke as many thought all the times he said the Canadiens would compete for a playoff spot. Bergevin could very well have been smoking something instead, but what exactly isn’t as clear as his now-clear-cut desire to make the playoffs. 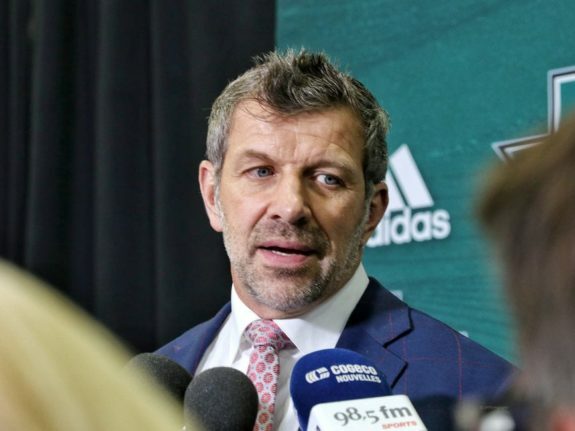 Some of Bergevin’s critics might take this opportunity to lambast him for putting his ego and needs above those of the team in the long term. After all, the Habs are a team whose ceiling is relatively low. If everything goes right, they might top out as a wild-card team. Putting that goal above the opportunity to Kotkaniemi specifically to compete for a medal at a tournament in which he can only participate a limited number of times seems selfish. Consider the alternate viewpoint, though: It’s because the Canadiens would realistically only be able to earn a wild-card spot that leaves such a small margin for error down the stretch. And, should the Canadiens make the playoffs, anything can happen once they’re there. At least that would be the argument Bergevin could make. As for Kotkaniemi, while he would admittedly be missing out on one opportunity, it’s legitimately hard to believe he wouldn’t be happy to stay in the NHL. This has conceivably been his goal for most of his young life and his general manager just gave him an incredible vote of confidence, but forget just being flattered. He’s probably still just happy to be here. Any disappointment he’s feeling likely pales in comparison. It’s long since been acknowledged Kotkaniemi should stay, because he’s good enough. That sentiment should apply until it doesn’t. He’s still good enough to be on this team, so Bergevin is justified keeping him where he is. What can be debated is Bergevin’s intelligence to effectively double down on the strategy to compete for a playoff spot. There’s really no going back now, no back-tracking. At least there shouldn’t be, although he’ll probably try to find some way come mid-April if the Habs haven’t made it. Bergevin’s denying Kotkaniemi an opportunity, but making a commitment to both him and Habs fans to go for it. You can question his wisdom in so doing, when his job could (should) be on the line if he fails to reach the standard for a successful season he himself set. So, you can’t question his resolve if he sees this one decision pertaining to Kotkaniemi through. For better or worse, Bergevin’s being bold here. That deserves some measure of respect, even if it ends up being a miscalculation. Considering his recent moves have panned out, maybe he even deserves some leeway, especially when in most other markets the decision not to release a player to an international tournament would be seen as a minor. 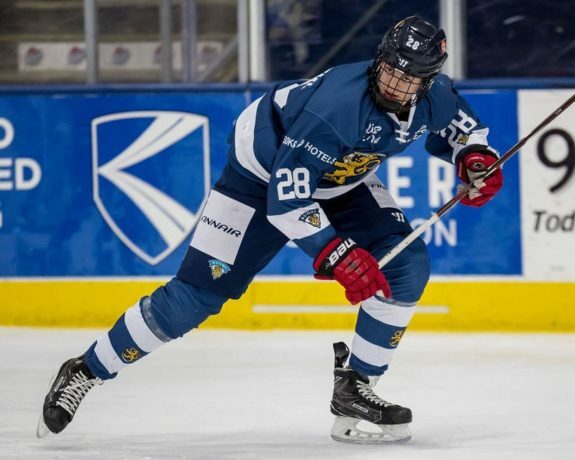 In the grand scheme of things, it probably is, maybe even to Kotkaniemi. However, it is just the latest in a lot of smaller moves that together paint a bigger picture. Once Bergevin officially signs off on the decision to keep Kotkaniemi with the Canadiens, he’ll effectively be signing that picture, at least for this season. Hopefully for him it turns out as expected.